This 24 foot RIB is an ex-coast guard hard bottom inflatable boat powered by twin 88 HP Evinrude outboards. It is trailered "at ready". It is used as a utility vessel for express deliveries of materials, divers, supplies, light towing and light salvage work. 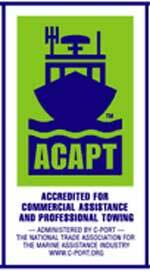 Our Vessel Assist program is backed up by our Boatyard, with repairs and services available. Our salvage fleet of vessels is on station 24 hrs, responding to maritime emergency's with Coast Guard licensed, fully insured, trained, and experienced crew. 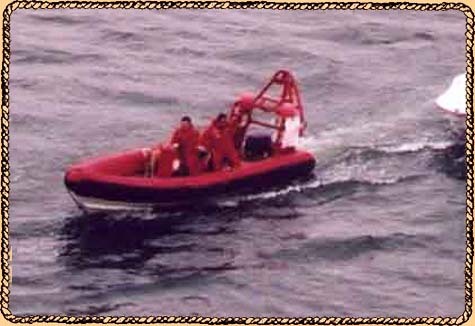 24' Rigid Bottom Inflatable Boat "Speeder"